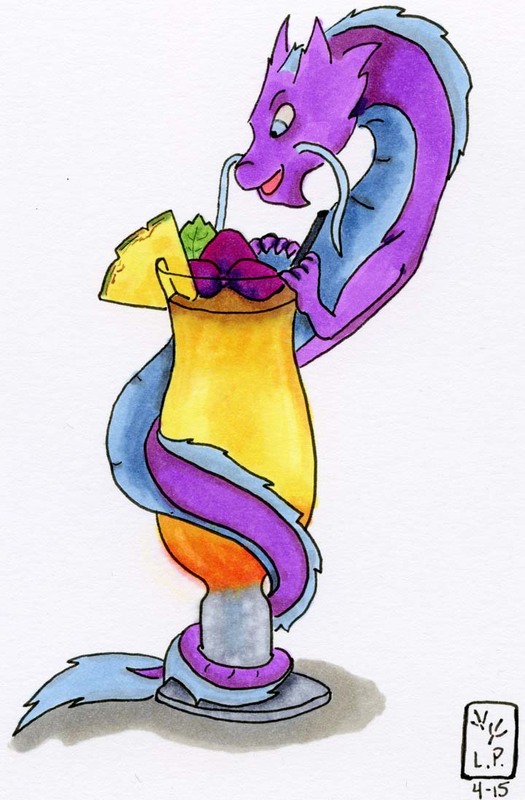 As everyone knows, dragons love a good tropical drink to curl up with. This is done with copic markers, liners, and paint pen. The red in the drink was put in my applying red to a yellow marker and starting where I wanted if darkest and brushing away. The flower on top of the drink turned out better than I expected it too with the markers on hand. 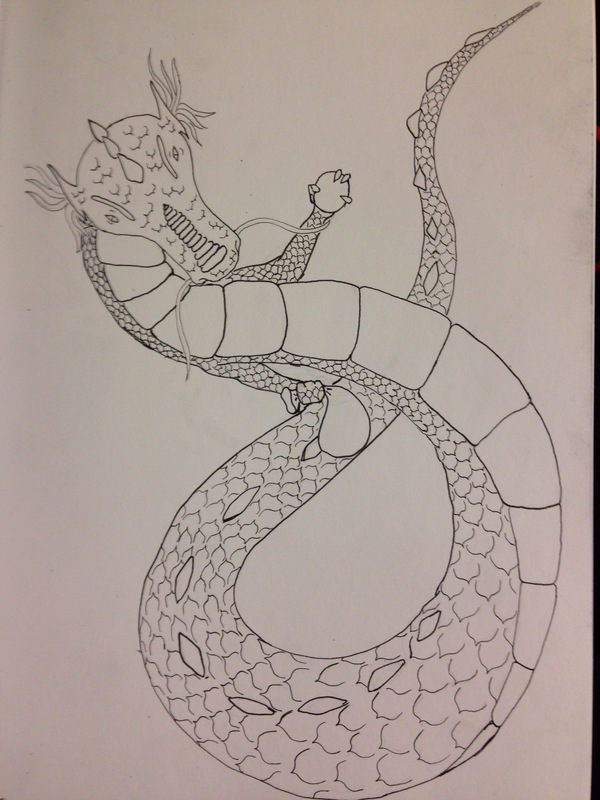 Yesterday I posted a pic of the head. Today I’m posting the rest of it.